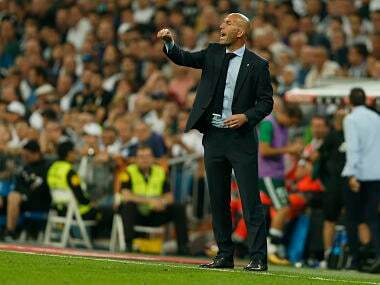 Madrid: Zinedine Zidane lamented Real Madrid’s home woes as the Spanish and European champions slipped to a surprise 1-0 defeat to Real Betis on Wednesday. 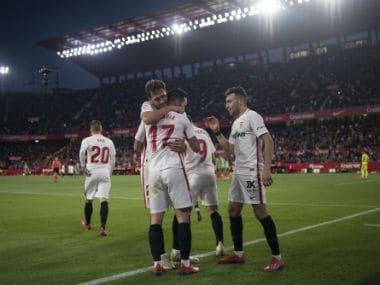 The result means Real are without a win in their three league games at the Bernabeu this season, having also drawn with Valencia and Levante. They now sit seven points behind pace setters Barcelona, who are the only side left in La Liga with a perfect record after five games. 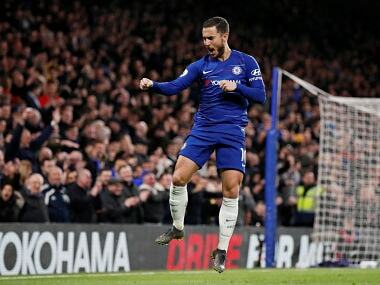 Madrid enjoyed 60 per cent possession and had 27 efforts at goal to their visitors 12, however their dominance was of no consolation to the Frenchman. "The ball just didn’t want to go in for us," Zidane told reporters. "If you score one chance its a totally different game, but when it doesn’t want to go in, results like this can happen." "We need to remain calm, but its just two points from nine at home." "I feel for the players, the effort they’ve put in. When the opponent scores like that at the end it hurts." 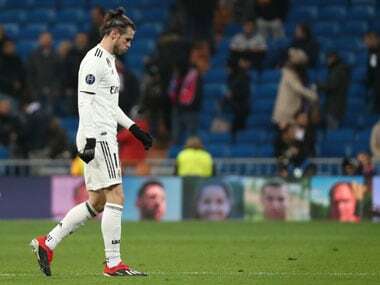 It was the first time in 73 matches Real had not scored as former Madrid goalkeeper Antonio Adan ensured his boyhood club went away empty handed and captain Sergio Ramos was also frustrated. "It’s not normal in these matches at home against sides who on paper would normally be leaving the Bernabeu with a different result,” Ramos said. "We need to be self-critical and turn the page." "Hopefully it’s just a problem with being clinical. We did everything we could, but there’s not been a ruthless side to our finishing." News did not get better for Zidane as fullback Marcelo limped off with a hamstring problem. "It might well be the muscle has gone but it needs to be tested," Zidane said. "We played better than Betis but the result is what matters. I would prefer to play badly and take the three points.